Hi guys! 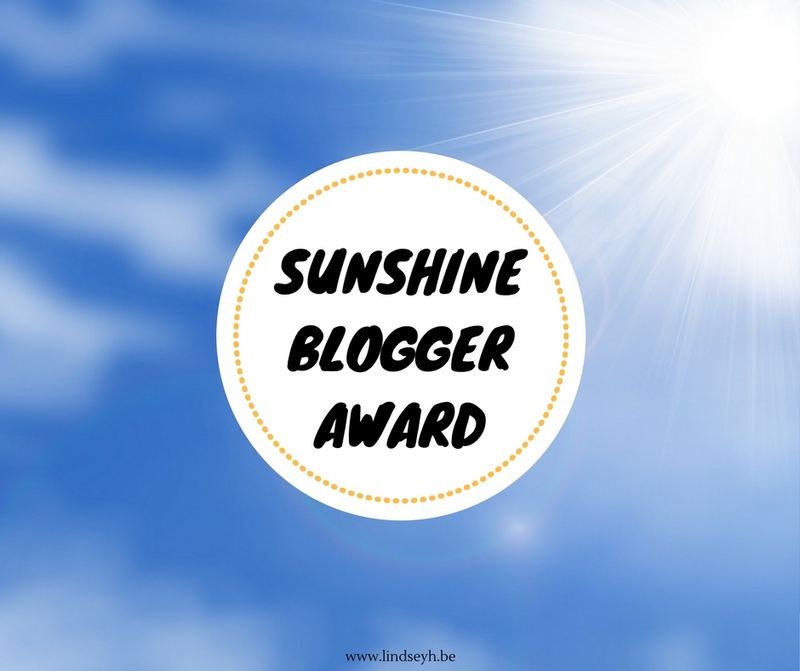 The lovely Prabhleen from Booksarelife987 has nominated me for the Sunshine Blogger Award, thanks Prabhleen! And so that’s exactly what I’ll be doing today, so let’s dive right in. 1.) Answer the 11 questions set by the person who nominated you. 2.) Nominate 11 new blogs to receive the award and then write 11 new questions. I COLLECT OTP’S! HOW DO YOU EXPECT ME TO CHOOSE JUST ONE BETWEEN ALL MY PREVIOUS BABIES?! I COULDN’T! But okay, if I have to choose one, I’m gonna go with the first one to pop into my head and that is an OTP from the last book I’ve read. So I’m gonna go with Emi and Shiro from the Red Winter trilogy. If you haven’t read this series yet, I highly recommend it! 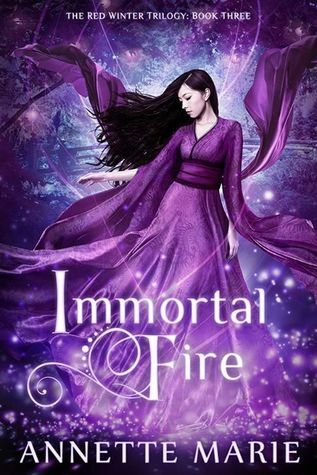 It’s a fantasy based on Japanese mythology, featuring spiritual beings and creatures like kitsunes, yokai and kami. 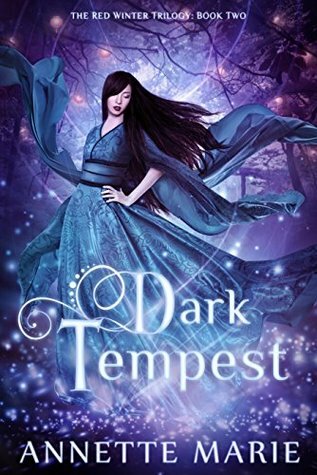 It’s an epic fantasy with great characters and a romance that made me swoon! What are your opinions on fanfiction and fanart? I love them! For one thing, it’s people being creative, and I highly respect and admire that. Really. I wish I could write or create art and be confident enough to put it online. Secondly, it means they are passionate about a certain fandom and being passionate about a fandom is the best! Which bookish character do you think would be your frenemy? Mmmm, I must admit that I never really understood the concept of frenemies. I mean, are they friends or enemies? There’s quite a huuuge difference, so how could someone be both at the same time? But I guess I would love to be frenemies with Baz from Carry On. Because I love him and want him to be my friend. But part of why I love him is his banter and witty comebacks so I think it would be kind of fun to antagonize him a bit and banter with him. Plus he doesn’t seem like the type who makes friends super easily so maybe frenemies is the way to go? List your top 5 bookish boyfriends/girlfriends! What is the most exciting thing about blogging? Well, this may be a cliché answer, but definitely the community! I have met some amazing people through blogging and I love being able to ‘talk’ through posts and comments with everybody on a weekly basis. I love reading your posts and being inspired by your creativity. I just want to talk about books with other bookish people. I love reading, but part of the joy of reading is being able to share this love with other people. And because in real life my options are a little limited, It seemed like the perfect solution to branch out online. And seriously, the bookish community is THE BEST. Everyone has been super kind and welcoming to me. I have loved discovering so many new blogs. I have loved reading all your posts. And I have loved coming home to your comments every night and obsessing over all our favorite books together. I wanted to learn new skills. And rest assured, blogging takes A LOT OF SKILLS. Skills that I didn’t necessarily have before starting. Let’s see, we have: WordPress, writing (in English, which is not my native language), webdesign, graphic design, SEO, social media, photography (hi, I’m a bookstagram noob), time management, online marketing and online social skills among so many others. And let’s be honest, I don’t fully possess all these skills now yet either. But I’m learning new things every day and I LOVE IT. Back to the point: I can only think about the 50 Shades of Grey series. Now, I know most people in the bookish community actually hate this, but IRL I am constantly hearing people praise these books and the movies. And… can we just not? I will admit I actually read all three books and while I thought the first book was still.. okay-ish if it had been a standalone (it does end with Anna standing up for herself and walking away from the D-bag), the next two are just complete and utter trash. Do you listen to music while reading, or if you are a writer too, do you listen to music while writing as well as reading? WOOSH THIS WAS A BIG QUESTION MY FINGERS ARE DEAD FROM TYPING. Actually, no. I love listening to music, but when I’m reading I need silence. If there’s any music on, I want to pay attention to the music as well and then my attention is divided which is NOT GOOD. So, silence it is for me. Name one book which everyone seems to love but you hate it and one book that everyone seems to hate but you love IT WITH ALL OF YOUR HEART. Ugly Love by Colleen Hoover. Unhealthy relationships are so incredibly frustrating and my hate just grows and grows the longer the woman lets the man treat her so badly. (I forgot the names and am not even interested to look them up) Nope. Just nope. Well, I wouldn’t exactly call this a book or series everyone hates (in fact it’s quite popular), but it’s been brought up a lot lately because of some problematic issues and that is the Throne of Glass series. Do I agree with the haters? Yes, there are definitely some problems with this series, most notably the complete lack of persons of color (or the ones they have get killed off) and the lack of any LGBTQ relationships. Everybody just gets nicely paired off with the next available straight person. So yes, this series is definitely highly flawed in terms of diversity. But I still can’t help but love it, despite its’ flaws. This is actually an easy one. If I could only choose one favourite genre, it’d be fantasy. Hands down. Why? I was listening to this song pretty much non-stop while I was reading the book, so they have become completely linked in my mind. But I think it also fits the journey of Violet and Finch and their emotions as they are driving around together. If you could marry one fictional character, who would it be? If you’d ever get a bookish quote tattoo, which one would it be? What’s your favorite fictional friendship? What’s one book you could re-read indefinitely? Other than reading, what’s your biggest hobby? What’s your favorite quote from a book? Who is your go-to author? What is one real place and one fictional place at the top of your to-visit list? What is one book that made you hungry with all its’ wonderful food descriptions? Name one trope you just can’t get enough of. Umm… I always fail at tagging people. I feel like a lot of people have either already done this one, or don’t like participating in awards. So I’m tagging only those who are reading this post and want to do it! Of course, feel free to also answer any of my questions in the comments below, because I’m a curious little bee. So you stole a few of my book boyfriends. 🙂 I liked your answers. The one about music and book that go together was pretty cool. Haha, I’m so sorry for stealing your book boyfriends! Maybe we could share them, you know, like alternating weekends? 😉 Thanks so much! Thanks for doing this!!!! And omg I love Troye Sivan❤️ And All the bright Places!!! I definitely have a lot of problems with the Throne Of Glass series but I like that you respect the fact that it is unfortunately, very problematic. I hated the ACOTAR books and some people messaged me on GR about it. I just.. Everyone in allowed to have their own opinions! And the people in the ToG and SJM fandom are very awful. They literally have no self respect, control and are extremely violent. 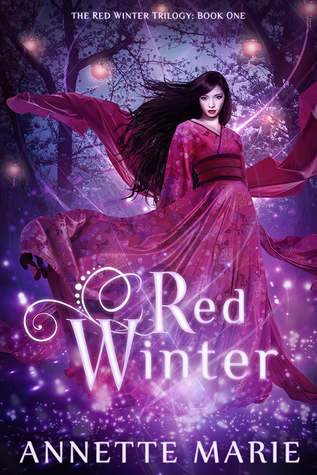 I am so excited for the Red Winter trilogy though!! I know you have been on a Japan stuff kick lately, and I love anime and stuff so I am really excited!! Plus Shiro is the name of my cousin’s cat (she loves Shinchan like me) so that’d be interesting?? That's terrible that people message you because you didn't like a book! Everybody is entitled to their own opinion and attacking someone for not sharing the same opinion is just wrong and disrespectful. Plus, even if you like something, you should be able to see and understand what other people don't like about it. Especially when it's a problematic book. I like the ToG series and the ACOTAR series, but I can still understand and agree with the issues. They are real and should be said. But a lot of people in the SJM fandom are indeed rather aggressive and disrespectful and I'm sorry you had to deal with them! Emi and Shiro!!!! Weren’t they amazing!!!!??!!! I’m still in love with that series so HARD! I am still hanging although now I’m reading Six of Crows and Crooked Kingdom and that’s momentarily pulled me out of my slump 😉 I’ll probably just have a double whammy book hangover once I’m done with those! Although – ACOTAR rereads are coming up!! Ha ha. Love reading all your answers!! Oh Emi and Shiro <3 So happy you loved that series! And following it up with another amazing series like Six of Crows is definitely putting you in danger of a double whammy hangover 😉 Ah, I need to start my ACOTAR reread soon too!